On July 9, 2017; just five hours from London where recent terror attacks dominated world news and united concerns across the globe… Every summer since 1947 Llangollen has staged one of the world’s most inspirational cultural festivals. Each year around 4,000 performers and as many as 50,000 visitors converge on this beautiful small Welsh town and its International Pavilion; to sing and dance in a unique combination of competition, performance, and international peace and friendship festivities. Its competitions climax with the prestigious, “Choir of the World” competition, which determines the best overall choir of the event. Choirs from across the globe compete for this covetous title and trophy. After spreading goodwill throughout London, Birmingham, and Manchester then traveling to Llangollen to compete in four different categories, the Aeolians choir, from Oakwood University, located in Huntsville, Alabama, emerged as the world champions, bringing to the United States the coveted Choir of the World Pavarotti Trophy 2017. 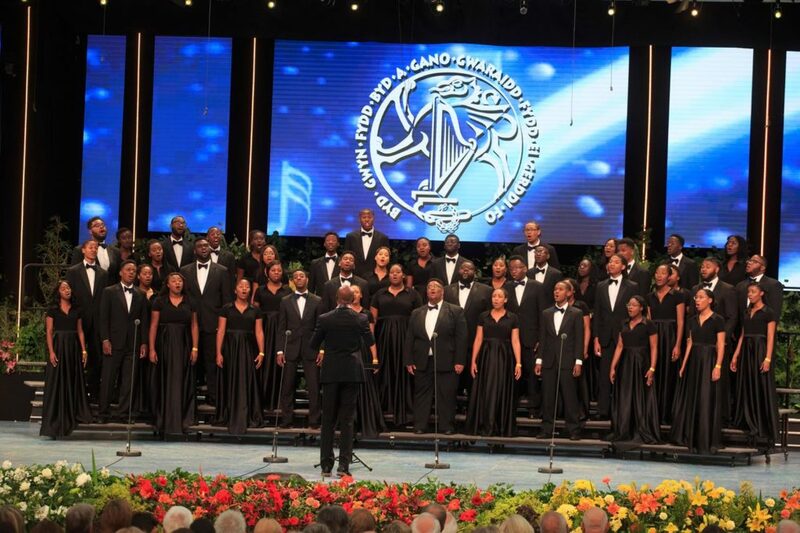 Dr. Jason Max Ferdinand (Director of the Aeolians), became the first in the history of the event to receive the Eisteddfod Outstanding Conductor of the World Award. Celebrating its 70th year in 2017, Llangollen promotes the competitions as a gesture of goodwill and fellowship to help inspirer peace-loving individuals in a democratic society into a closer personal association within the sphere of a genuine common interest of music and the performing arts. The Llangollen International Musical Eisteddfod Festival is not merely an annual festival promoted by one nation for international audiences but a festival of music-making in which representatives of all people from other Nations participate in by taking an active part in the festival.